Born and raised Capetonians, inspired by the sun, life, & music! Apollo Brewing Company is on a mission to produce real, flavourful craft beer of exceptional quality. We have a passion for integrated flavours derived from the best available ingredients and patience. Only the finest ingredients can produce the greatest beers. Experience in wine making and knowledge of the science of fermentation reflects in the quality of our craft beers. 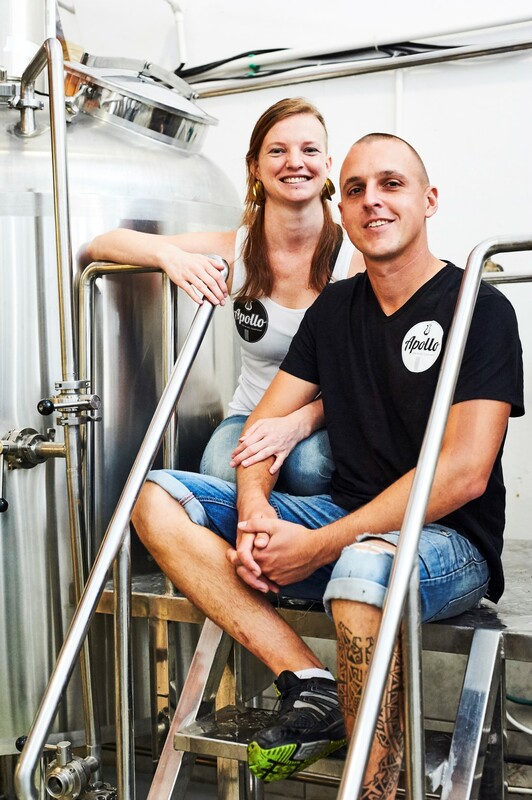 Apollo comprises of a husband and wife team who are passionate, crazy, creative and determined to deliver you great craft beer. We conduct our business applying a strong code of honest ethics and believe in building solid relationships and supporting teamwork within the beer community. Our ales are brewed under license of THE WINEMAKERS CLUB | @RedSkyBrew in Gordons Bay. Chris Spurdens is an ex-winemaker turned craft brewer. Where can I buy Apollo beer?